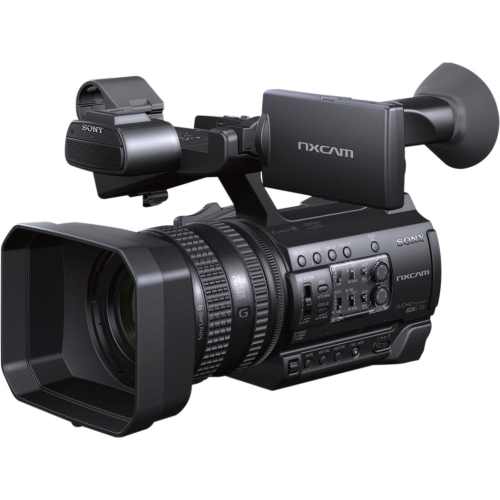 NX100 offers a step-change in imaging performance while support for multiple recording format capabilities, including XAVC-S 50Mbps, AVCHD and DV file-based recording, delivers exceptional flexibility for all today's Full HD workflows. Sony developed a high quality, 29mm wide-angle G Lens specifically for the NX100 to capture even the most expansive scenes with superb clarity. A 12x optical zoom is dramatically enhanced with Sony's unique By Pixel Super Resolution Technology - which can enlarge the image by additional 24x while still preserving image quality. Zoom performance can also be doubled at any point with Digital Extender offering a maximum zoom capability of 48x.